The many benefits of blinds have seen them surge in popularity over the last few years with many homeowners choosing them over more traditional window dressings such as curtains. Blinds are great for keeping out sunlight, helping you get a better night’s sleep, providing style for your home and retaining your privacy but, blinds also have many more benefits that can often be overlooked. Here’s a list of the benefits of blinds that often get forgotten when it comes to choosing window dressings for your home. Although natural sunlight in the home and office comes with tonnes of health benefits, it also comes with a range of health risks such as skin damage and, not to mention, the fading that UV rays can cause to furniture and home decor. Blinds are effective at allowing you to enjoy the natural light filtering into your home but they will also filter those nasty UV rays to prevent your home decor from becoming too faded and, most importantly, to protect you and your family from the risks of too much exposure to harmful UV rays. 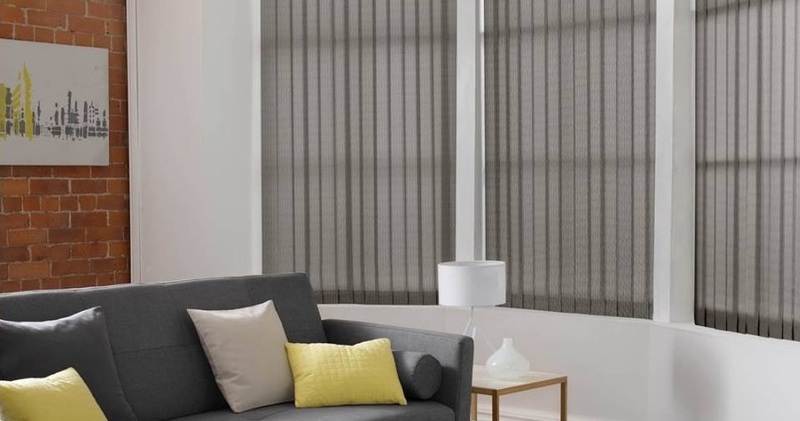 If any of the rooms in your home are exposed to direct sunlight for all or most of the day, blinds will help you to protect carpets, walls and furniture from fading in the sun. They will also help you to reduce glare from the sun if you want to watch television or sit comfortably in your home. If you live in a busy city or near a main road, even with double glazing, outside noise can be a problem when you’re trying to relax or sleep. Most of the noise in your home will leak in through the windows so installing blinds will help to absorb some of this sound and help to muffle it inside your home. Roller blinds are particularly effective because, when closed, they cover the whole window and help to prevent the noise from travelling through. If you still want to use curtains to complement your home decor, roller blinds can be used in conjunction for more practical purposes in addition to style. In the UK, we often enjoy a wide range of weather conditions from boiling hot to freezing cold meaning it can often be difficult to regulate the temperature in your home. Windows have large surface areas and so allow hot and cold air to penetrate into your home. Blinds can help to prevent the heat from escaping in the winter by reflecting it back into your home and keep your home cool in summer by reflecting the heat. Therefore, you will spend much less on energy bills in the winter on trying to keep your house warm! Our range of ASC patterned vertical blinds are made with a heat reflective to coating to amplify this effect and help you to stay comfortable at home. This range of blinds is particularly popular in conservatories where heat loss and heat gain can be a problem. In addition to being practical, they’re also stylish and will add an extra dimension to any home decor style. If you have unusual or irregular shaped windows, blinds are an easy to fit, easy to use and cost-effective solution. All of our blinds are made to measure which means you can fit them to any window in your home and you’ll always get a perfect fit. Rather than choosing curtains that don’t quite fit, our blinds will blend in seamlessly with your windows every time. Blinds are available in a wide range of styles and materials so you’re sure to find the solution for any window. Closing your blinds at dusk and night-time when the lights are on and when you’re away will prevent people from being able to look in and see how many valuables you have in your home. Leaving your blinds open could be giving burglars an opportunity to window shop, especially if your house is at street level. Not only will blinds prevent them from peering in to see what you have, potential burglars will be unable to tell if there’s anyone home or not which is a huge deterrent because they don’t want to break in whilst you’re sat watching the tv, ready to catch them in the act! If you want to prevent prying eyes but you don’t want to sacrifice the light coming through the windows, take a look at our wide range of Venetian blinds. The slats can be tilted to suit you and allow in light but prevent anyone from looking in.